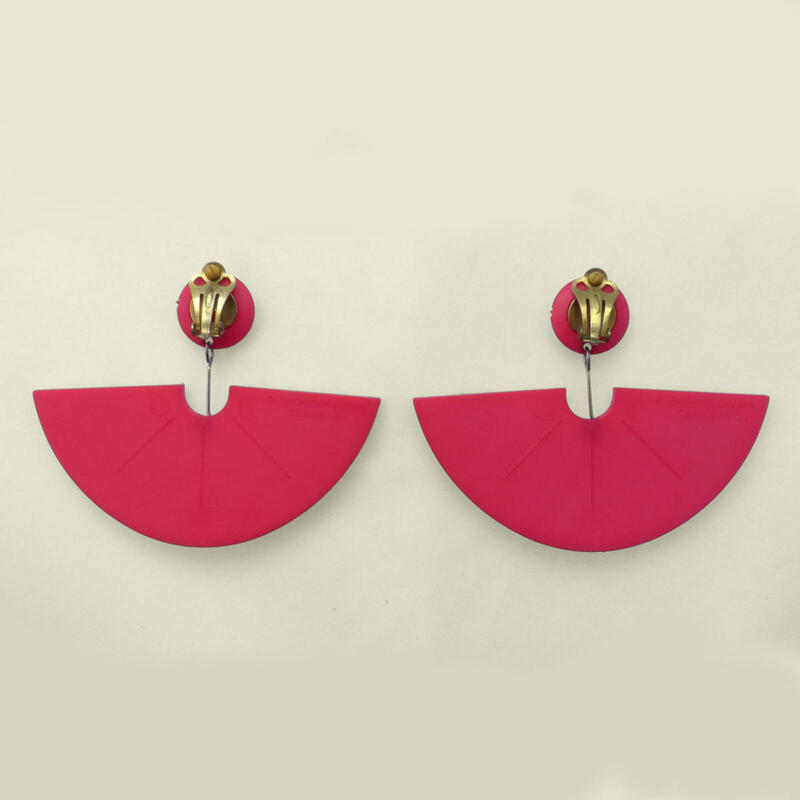 Striking graphic earrings from Danish designers Buch & Diechmann in neon pink matt nylon with large demi-lune pendants elegantly suspended on wire. 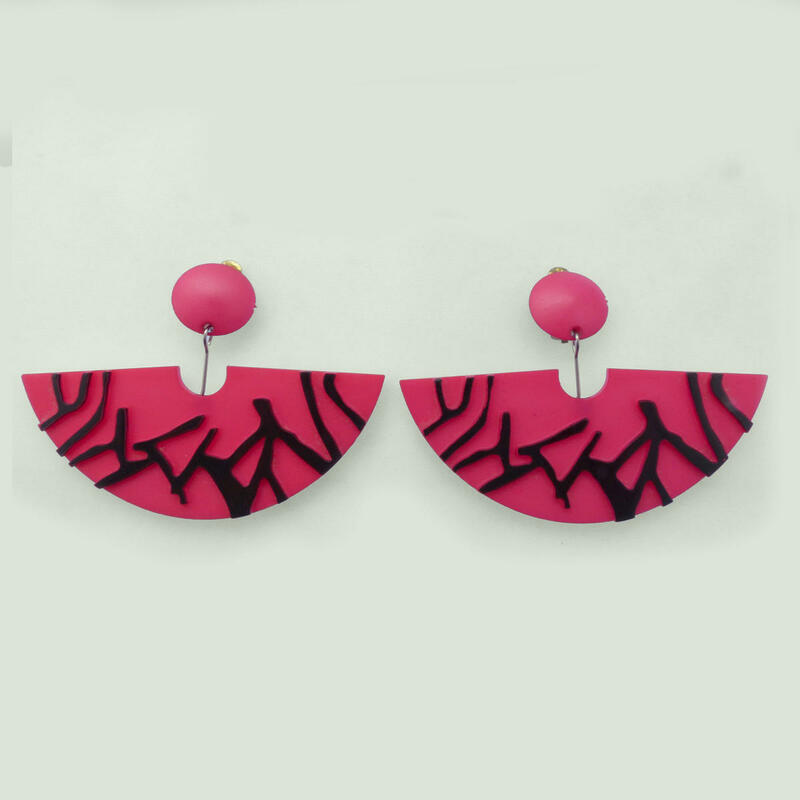 The raised abstract decoration is highlighted wtih glossy black print. A B&D peice with printing is extremely rare. Clip button earrings and pendants in perfect mint condition. Signed. 4cm acros. Circa 1986.